StixFresh was founded by Zhafri Zainudin to prolong the freshness and shelf life of certain types of fruits. 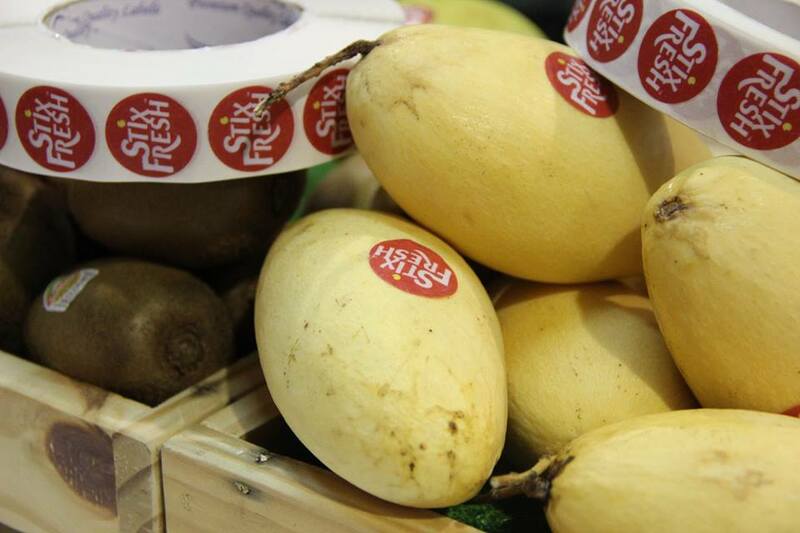 StixFresh stickers are coated with a mixture of sodium chloride and beeswax, which slows down the fruit ripening process by removing ethylene. One might not think much of how their food reached their tables, but it actually takes a long process for food especially fresh produce to go from farm to table. In that process of transporting produce all the way to supermarkets , it is estimated that 52% of fresh fruits and vegetables go to waste before they even make it to the consumer (figures from the United States). With the problem of food wastage on top of his mind, Zhafri Zainudin set out to change the agriculture industry by introducing StixFresh, a labeling sticker that can reduce disease attacks, which in turn prolongs the freshness and shelf life of certain types of fruits. It all started when Zhafri had a chat with a friend who owned a mini stall. His friend was complaining about losing money everyday due to fruits going bad. According to the friend, the situation was dire since there was no way to stop nature from taking its course. Inevitably, fruit will turn ugly and lose its flavour. Freshly picked produce takes a long time to reach retailers. Beyond the time-consuming shipping process, it’s a constant struggle to ensure the produce arrives in the best possible condition. For retailers, these losses equate to lower margins which in turn affects their cash flow negatively. Freshness of produce suffers when it’s shipped long distances by sea. Of course, air delivery is quicker, but the higher transportation costs would result in higher fruit prices and consequently declining demand. 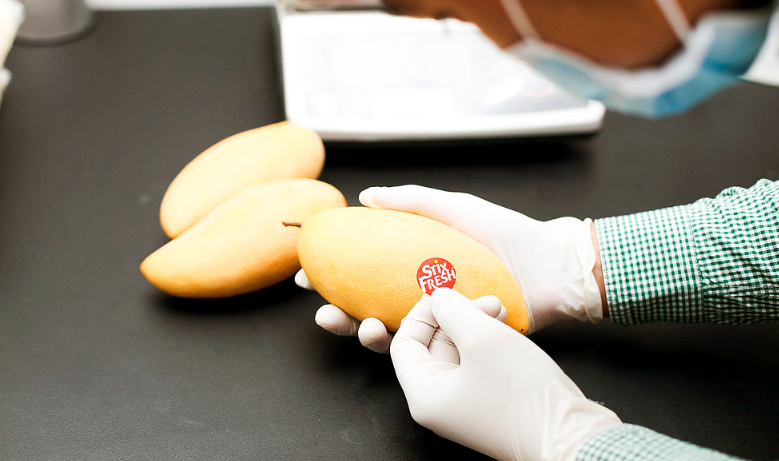 With the goal set to to make fruit last longer in a natural way, Zhafri spent almost 3 years to perfect the sticker in terms of efficacy and manufacturing process. StixFresh was then officially established in the year of 2017. “We did a joint development with our local university UPM, research institutions and agencies such as Mardi and SIRIM, and recently with Bogor University and University of South Australia,” he added. StixFresh started out with two founders—Zhafri Zainudin as the CEO and Buquari Othman as the head for operations and marketing. As the company grew, three more co-founders joined the team as they believed in its long-term vision to put an end to food waste. 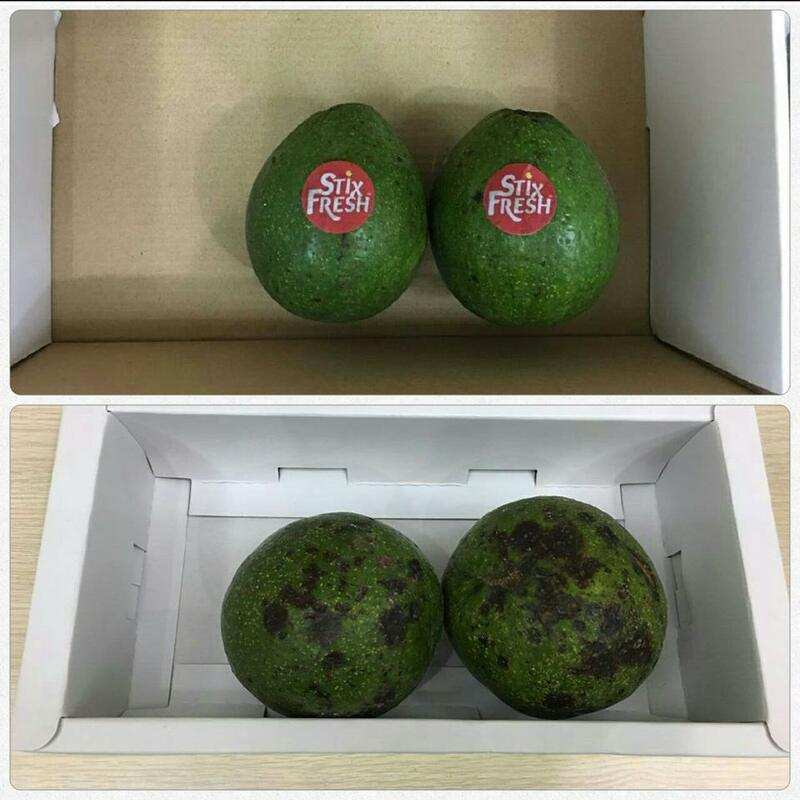 The StixFresh stickers are coated with a mixture of sodium chloride and beeswax, which slows down the fruit ripening process by removing ethylene—the ripening hormone in fresh produce from the air around the product. “We categorised it as a food additive which is acting like a slow release dispensing agent of good nutrients for fruits,” said Zhafri. In the beginning, StixFresh was only targeted to extend the shelf life of mangoes. Later on, they only found out that it also works on other types of fruits which have almost the same size, and other similarities such as skin texture, diseases and fungal attack. However, StixFresh now works best on mango, avocados, papaya, dragon fruits, star fruits, apple and pears. According to the team, the stickers are so safe that it’s even possible to eat them without harm (but we wouldn’t recommend that you try). They also clarified that the stickers are one use only—once peeled off, they loses their efficacy. StixFresh caters to customers who are mainly small growers such as the Harumanis mango growers in Perlis, Jabatan Pertanian Negeri Sembilan, AEON BIG, and companies which are fruit exporters and importers. Since 2017, they have sold over 1.3 million stickers. Currently StixFresh is operating in Senawang, Negeri Sembilan and has been launched in the United States of America this November. They spent almost RM1.8 million on researching and development, Intellectual Property through the Patent Cooperation Treaty (PCT), Food and Drug Administration (FDA) and machinery equipment for production and exhibitions in promoting StixFresh. “When we are involved in food additive technology and have direct contact with fruits, it triggers safety concern among our clients and consumers. Along the way we learnt that different farmers and wholesalers are using different types of post-harvest techniques,” said Zhafri. He explained that if industry players look at their wastage losses yearly and compare the amount that they will spend on StixFresh, “it will show that they will spend less amount on our stickers compared to their yearly wastage losses. In addition, they can make more profits without increasing their price”. As winners of the ASEAN Rice Bowl Startup Awards 2018 for Best Food/Agri Tech Startup, they have big ambitions to see their product make its way to Europe, Africa, Asia and the American Continent. “We would also like to introduce a new concept for smaller fruits with soft skins like berries and others in the near future. We would like to tackle the same problem that vegetables are faced with,” said Zhafri. If you would like to know more about StixFresh, you can check out their website here and social media here.